MacEwan University has named Terri Suntjens director of Indigenous initiatives, a newly created position at the university. Ms. Suntjens, currently the manager of MacEwan’s kihêw waciston Indigenous Centre, will assume directorship of the centre in addition to her new responsibilities, which include leading the development of a five-year strategic plan that addresses the calls to action of the Truth and Reconciliation Commission. Tim Jorgensen joined the University of Lethbridge on Sept. 11 as general counsel. Mr. Jorgensen was most recently the solicitor for the City of Lethbridge. He has also worked as legal counsel for the Chinook Regional Health Authority and was a solicitor with Peterson & Purvis LLP. The University of Northern British Columbia appointed Dan Ryan its new provost and vice-president, academic, as of Sept. 1. Dr. Ryan had served in the role on an interim basis since 2015 and was previously dean of UNBC’s College of Science and Management. He was dean of the University of the Fraser Valley’s College of Science and held professorial roles at the University of Prince Edward Island and Acadia University, and research positions at Agriculture and Agri-Food Canada and the Australian Institute of Marine Science. Guylaine Beaudry has been appointed vice-provost of digital strategy at Concordia University. Dr. Beaudry will continue to serve as university librarian, a position to which she was appointed in 2014. She holds a PhD in history of the book from École pratique des hautes études in Paris, and a master of library and information science from Université de Montréal. Nipissing University named Arja Vainio-Mattila provost and vice-president, academic and research, effective Oct. 10. Dr. Vainio-Mattila is currently the dean of the School of Arts and Social Sciences at Cape Breton University, as well as a full professor of political science. She also holds an adjunct appointment in the department of Women’s studies and feminist research at Western University and a docent appointment at the University of Helsinki. Karen Fryday-Field is Brescia University College’s new chair of the board of trustees, as of July 1, for a two-year term. As the senior partner at Meridian Edge Leadership and Governance Consulting Group, she has more than 20 years of experience in both public and for-profit leadership. Since joining the board of trustees in 2013, Ms. Fryday-Field has led the development of the University’s current five-year strategic plan. The University of Saskatchewan has appointed Jacqueline Ottmann its first vice-provost, Indigenous engagement, effective Oct. 1. Dr. Ottmann, who is Anishinaabe (Saulteaux) and a member of Saskatchewan’s Fishing Lake First Nation, is currently director of Indigenous education initiatives and an associate professor in the Werklund School of Education at the University of Calgary, where she is also co-chair of Indigenous strategy. The University of Ontario Institute of Technology has named Douglas Allingham its new board chair for the 2017-18 school year. Mr. Allingham is executive vice-president of AECOM, a global multi-disciplinary engineering firm. He joined UOIT’s board of governors in October 2014. Brock University has named Michael Owen dean of the faculty of education, starting Aug. 15. Dr. Owen joined Brock in 2000 as director of research services, later serving as director of the Cool Climate Oenology and Viticulture Institute and associate vice-president, research and international development. He has since held senior administrative positions at Ryerson University, University of Saskatchewan and the University of Ontario Institute of Technology. Mary Wells will become dean of the University of Guelph’s newly renamed college of engineering and physical sciences, effective Nov. 1. Dr. Wells is currently associate dean of outreach and a professor in mechanical and mechatronics engineering at the University of Waterloo. She has chaired the Ontario Network of Women in Engineering since 2013 and was previously a professor in materials engineering at the University of British Columbia. Erin Hodson is Wilfrid Laurier University’s first Indigenous curriculum specialist, as of Aug. 1. Ms. Hodson is an accomplished researcher from the Tecumseh Centre for Aboriginal Research and Education at Brock University and holds a master’s in the social and cultural contexts of education. Her experience includes curriculum development focused on Indigeneity and teaching in the area of Indigenous studies. Gordon Hunchak joined the University of Saskatchewan as associate vice president, strategic communications, and chief communications officer, on Sept. 18. Mr. Hunchak, a U of S alumnus, was previously associate vice-president, external relations, at Brock University. His career has included senior roles at Canadian Tire Financial Services, Meridian Credit Union and Niagara College Canada. On Sept. 1, Alice Aiken became the new vice-president, research, at Dalhousie University. Dr. Aiken, who earned her bachelor’s degree at Dalhousie, currently serves as dean of the faculty of health. She is a former president of the Canadian Physiotherapy Association and spent 10 years as a faculty member in the School of Rehabilitation Therapy at Queen’s University. A veteran of the Canadian Armed Forces, her research in health services and policy focuses on veterans and their families. She is co-founder and former scientific director of the Canadian Institute for Military and Veteran Health Research, a consortium of Canadian and international universities. She has received the Minister of Veterans Affairs Commendation and the Queen’s Diamond Jubilee Medal, and was inducted into the Royal Society of Canada’s College of New Scholars, Artists and Scientists. 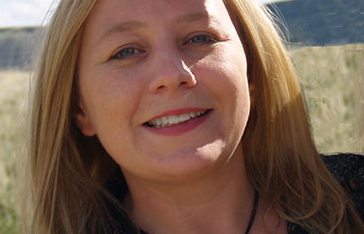 Mount Royal University has named Jennifer Pettit interim dean of the faculty of arts. Over the past 20 years, Dr. Pettit has served as the chair of humanities, vice-speaker of General Faculties Council, speaker of Chairs’ Assembly, and vice-chair of the Faculty Negotiations Committee. As a professor, she has taught early North American history with an emphasis on Indigenous peoples, education and policy. Jeff Keshen has been named vice-president of the Grenfell Campus at Memorial University, effective Nov. 15. Dr. Keshen most recently served as dean of the faculty of arts at Mount Royal University and was previously department chair of history and adjunct professor at the University of Ottawa. Thomas Nault is the new registrar at Memorial University, effective Nov. 6. He will join Memorial from Centennial College in Toronto, where he currently holds the position of registrar. Memorial University has named Neil Bose vice-president, research, effective Nov. 1. Dr. Bose is currently principal of the Australian Maritime College, the national institute for maritime education, training and research at the University of Tasmania. He is also a professor of maritime hydrodynamics at the AMC. Prior to his move to Australia, Dr. Bose was a long-standing faculty member at Memorial, serving as director of the Ocean Engineering Research Centre and chair of the ocean and naval architectural engineering program. Carol McAulay will become York University’s new vice-president, finance and administration, starting Oct. 30. Ms. McAulay is currently vice-president, administration, at Laurentian University, a role she has held since 2011. Previously, she was associate director of education for the Simcoe County District School Board and chair of the board of governors at Western University. Wilfrid Laurier University named Douglas Deutschman its new dean of the faculty of graduate and postdoctoral studies. His term at Laurier begins Oct. 1. Dr. Deutschman hails from San Diego State University, where he served as associate dean of the college of sciences and received the President’s Leadership Award for Faculty Excellence. He will also hold a tenured faculty appointment in Laurier’s department of biology. Adam Sarty is Saint Mary’s University’s new associate vice-president, research, and dean of the faculty of graduate studies and research, effective Aug. 8. Dr. Sarty joined SMU’s department of astronomy and physics in 2000. Since then he has served in many roles, including associate dean of science (external and student affairs). He is the recipient of a 3M National Teaching Fellowship among other leadership awards. Karim Khan is the new scientific director of the Canadian Institutes of Health Research’s Institute of Musculoskeletal Health and Arthritis, effective Oct. 1. Dr. Khan has 25 years of experience as a clinician, researcher and professor. Most recently, he was the co-director of the University of British Columbia’s Centre for Hip Health and Mobility. Since 2008, Dr. Khan has also been the editor-in-chief of the British Journal of Sports Medicine. OCAD University has appointed Ashok Mathur dean of graduate studies, effective Jan. 1, 2018. Dr. Mathur recently completed a term as head of creative studies at the University of British Columbia’s Okanagan campus. He previously held the Canada Research Chair in Cultural and Artistic Inquiry and was director of the Centre for Innovation in Culture and the Arts in Canada at Thompson Rivers University. Prior to that, he was head of critical and cultural studies at the Emily Carr Institute of Art + Design. Angela Esterhammer has been reappointed principal of Victoria College at the University of Toronto, where she has served since 2012. She is also a professor of English at U of T and a scholar of British, German, and European Romanticism. This reappointment extends her term to June 30, 2023 and includes a one-year administrative leave between terms. Gwen Burrows was named executive director, international, at the University of Toronto, effective Aug. 1. As such, she serves as chief of staff to the office of the vice-president, international. A senior leader in the child health sector, Ms. Burrows has served in a number of leadership roles over the past 20 years, most recently as executive director, communications, public affairs and advocacy at the Hospital for Sick Children in Toronto. Brian Cooper has been named executive-in-residence at Ryerson University. He will join the Ted Rogers School of Management and assist in the development and delivery of sport business curriculum and program development. Mr. Cooper is the president and chief executive officer of MKTG, formerly S&E Sponsorship Group, an agency he created in 2007. The University of New Brunswick has appointed Dr. Michael van Zyll de Jong dean of the faculty of science, applied science and engineering. Dr. van Zyll de Jong was previously associate professor of applied ecology at Memorial University, where he served a three-year term as director of the Environmental Policy Institute from 2012 to 2015. He was also the co-lead of the Newfoundland and Labrador Forest Ecosystem Research Cooperative.